I have three young boys at my house, and for us that means Legos! I know there are many, many moms out there who can relate. I actually really like Legos (although I wouldn't cry if their prices were lower). I feel that the building and thought process involved is extremely beneficial for my boys. They could build all day long! 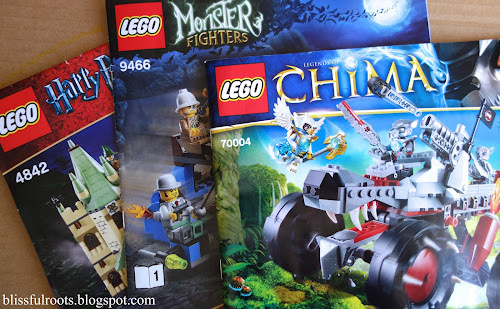 They love building sets that come with instructions, or coming up with their own creations. 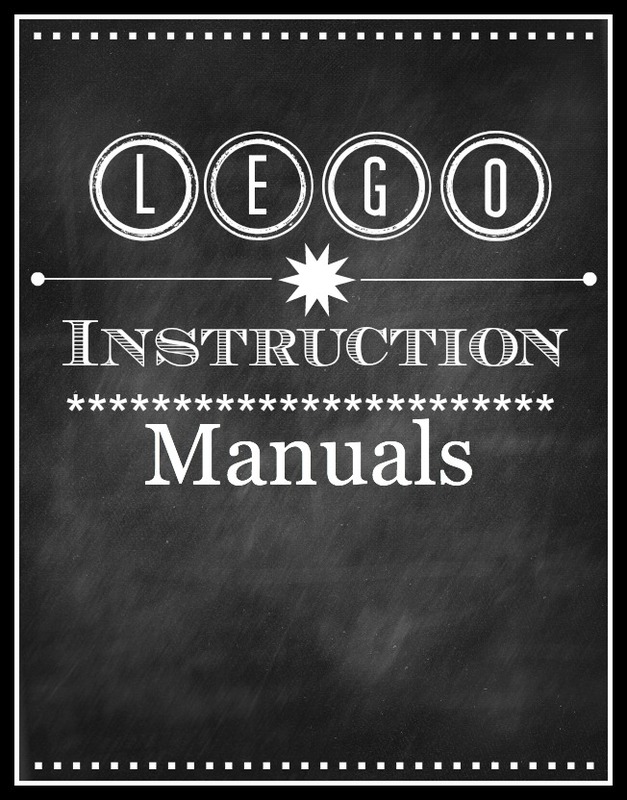 Last year I realized I needed to get a handle on all the Lego instruction manuals we were collecting. I had them stashed in a box with all the Legos, but they were getting torn apart. I decided to put them in sheet protectors and then in a binder. The one binder we had began to swell as our Lego collection grew, and so we added a few more binders. 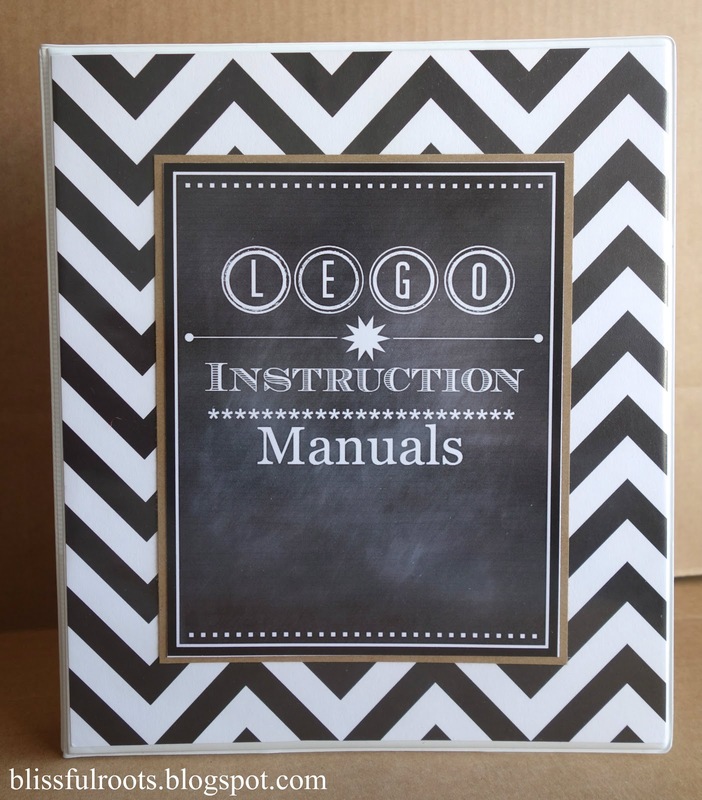 All the fun chalkboard art out there inspired me to make a cute cover for my boys' Lego binders. Here's what it looks like. 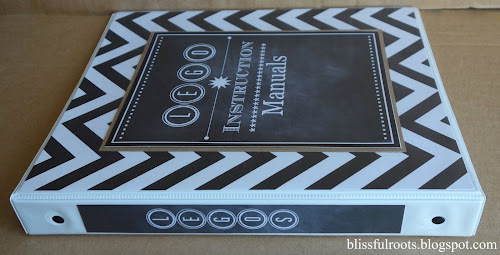 Maybe you don't keep all your instruction manuals, but if you do this system works really well. 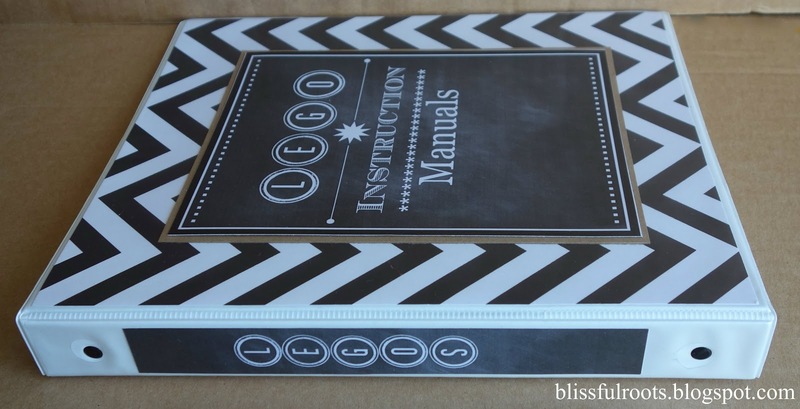 So well, that I've made binders for our Trio Block manuals, Bionicle manuals, and any other toy that comes with a manual or instructions of some kind (that's worth keeping). My boys know exactly where to go when they need a set of Lego instructions. You can click here and here to print your Lego instruction manual covers. Oh you are so organized, Brooke!! You're an inspiration! What a GREAT idea. I'm doing this today! Thanks so much. It's been so helpful at our house! So glad it's helpful to you. Thanks so much for visiting, Jennifer! Come back anytime. Enjoy your day!